Dr. Aaditya Kashikar is a Consultant Spine Surgeon specializing in Acute Disc Prolapse, Tanden Stenosis Surgery, Minimally Invasive Spine Surgery and others.After completing his DNB in Orthopedics, he went ahead to complete his Spine Fellowhip under the able guidance of Dr. S.Y.Bhojraj. The staff and the doctors are very friendly and professional. The coordination for international patient at the right from pick services, to allocating the room and all the procedures is just taken care of extremely efficiently. The healthcare services provided, overall are excellent. "My name is Edgar Chinyikar, I am from Zimbabwe. I was suffering from pain in my left leg and back pain for over 2 years. The pain was disabling. I was not able to go to work or even drive. Initially I felt pain only during standing, but then the pain advanced to even sitting position. I then realised that I had to consult a doctor. 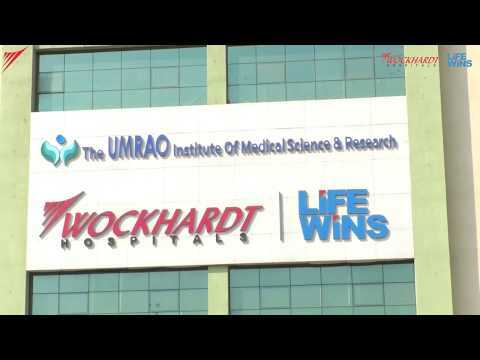 I decided to get treated outside Zimbabwe and was referred to Wockhardt Hospital, Mira Road. Dr Aaditya Kashikar, who is an experienced spine surgeon, reviewed my case. He explained in great detail that the only solution would be to go in for a Discectomy procedure as I was suffering from a disc collapse that was compressing my nerves in the spine. I had a successful surgery and after 12hours, the pain in my leg disappeared and I was able to sit comfortably. I was very impressed, with the nursing staff who really managed my post-operative care really well. The pain management after surgery is very good .The staff and the doctors are very friendly and professional. The coordination for international patients’ right from pick services, to allocating the room and all the procedures is just taken care of extremely efficiently. The healthcare services provided, overall are excellent." • Spinal Infections like Tuberculosis, pyogenic etc.